[CE] Shoe Upper Embossing Machine(PWN-4000FA, PWN-5000FA, PWN-6000FA, PWN-8000FA, WE-805B, WE-1005B) - Weldech Electric Industry Co., Ltd. 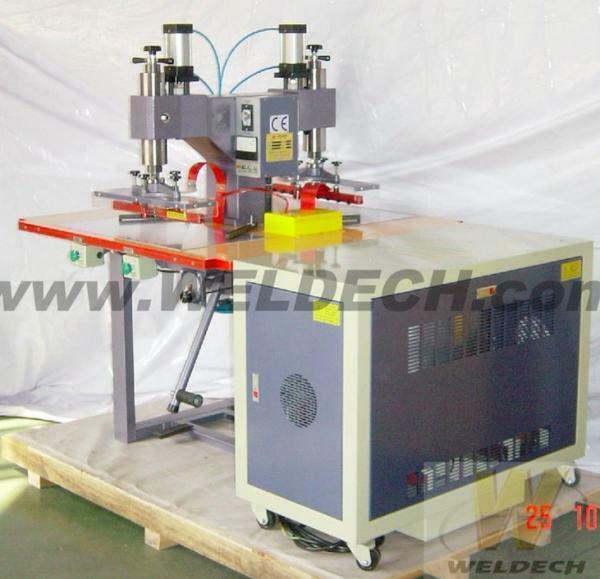 There are several series of the machine for leather's special process of welding, brand, convex, concave surface. Power Supply Voltage to be arranged at instruction. Voltage to be arranged at instruction. Voltage to be arranged at instruction. Voltage to be arranged at instruction. Voltage to be arranged at instruction. Voltage to be arranged at instruction.